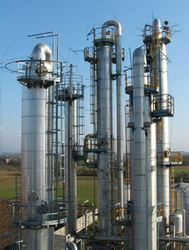 Ryali Engineers - Manufacturer of chemical storage tanks, process reactors & distillation columns in Hyderabad, Telangana. Relying on our profitable experience and expertise, we are nicely known as a primary manufacturer, exporter and supplier of Chemical Reactor. These are manufactured by using high grade other and stainless alloys as raw materials. We provide you with a wide range of reactors varying in dimensions, measurements and capacities to meet the application needs of our different prominent clients. 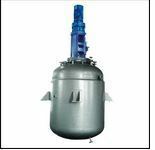 Chemical Reactor offered by us is widely preferred by the clients for its sterilized strong construction, leak proof composition and contra --corrosiveness. These reactors are remarkably used in petro-substance, pharmaceutical and chemical industries. Cashing on our enormous encounter and knowledge in this domain name, we are considered as a foremost manufacturer and exporter of Chemical Receivers. We make these receivers using high quality of metals sourced in the reliable distributors of the business. Our offered receivers are widely treasured for their strong construction, outstanding durability and rust resistance All these tools are popular in chemical substances and pharmaceuticals sectors for storing chemicals and solvents. Chemical Receivers offered by us can be availed in various measurements, sizes and capacities. Owing to the noise industry encounter, we have been successful in catering to the requirements of our esteemed clients by providing a unique variety of Fermenters. These items are fabricated and designed with good graded metal and other machinery components as per industry developments. These supply solutions for dairy and food processing sector. the deliberate use of Fermenters is that these secure meals products from bacteria and fungi by making them useful to mankind. Our provided range is made available in unbeatable market costs. With our dedicated initiatives in this website, we have carved a good position for manufacturing and exportingIndustrial Substance Filters. 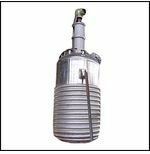 These filters are manufactured by using finest quality of metals. We provide these filtration systems in different capabilities, sizes and dimensions to meet the requirements in our patrons. Excellent filtration ability, long support life and sterilized construction are the features of these Chemical substance Filters. Business Chemical Filters offered by us are popular in substance, food & beverage, and pharmaceutical sectors. We Manufacture number of Vertical Heating Exchangers in Hyderabad.Vertical Heat Exchanger that are meticulously constructed for several heavy and robust software that contains heat transfer effects and technological innovation in high end performance with the users end. 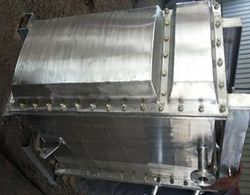 These Vertical Heat Exchangers are contrived making using latest technology to fulfill current market standards and so are available at the ideal price in the marketplace and will be made as per clients requirements.Our company is the leading maker of Heat Exchangers all form of Heat Exchangers, all kinds of Chemical Processing Instruments,Reactors,substance Reactors,Chemical Receivers,Storage Tanks. We are highly involved in this sector as a principal exporter and maker of Heat Exchanger. All these exchangers are manufactured employing optimum good quality of materials sourced from the reliable providers of the business. We have a large collection of exchangers varying in dimensions, requirements and capabilities to serve the demands of the clients. Excellent performance, strong construction and low upkeep are the salient features of our Heat Exchanger due to which it is very used in air cooling, natural gas processing, refrigeration and space heating apps. We are the leading Company of Chemical Processing Machines.We offer number of Reactors,Compound Reactors,Chemical Receivers.And that we are offering Hydrogenators which are in compliance with industry major quality standards. 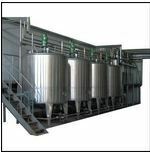 These are constructed using outstanding raw materials with leading edge manufacturing design and process criteria.We provide the best quality Hydrogenator along with the prices are quite less in comparison to the market prices. 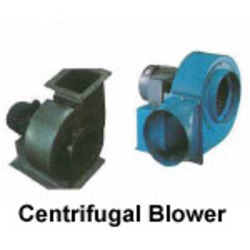 We are offering our customers a wide array of Manufacturing Condenser. Once the compressor this is basically the condenser which happens to be highly important in the refrigeration system. The Industrial Condenser converts the refrigerant vapour at the extremely high temperature in the liquefied show while rejecting all the unwelcome heating about the atmosphere. In step with the Full Warming Rejection Potential (THR), the condenser is determined. The Full Heat Refusal consists of two components such as the high temperature compiled to the evaporator and the operate of tension which should be depicted in the same products, normally kcal hr of Btuh.